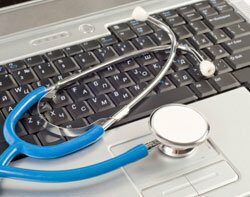 The new NHS email service will be provided by Accenture, after the IT services firm was announced as the preferred bidder by the Health and Social Care Information Centre (HSCIC), which runs the NHSmail system on behalf of the health service. The two organisations will now start negotiations on the final contract. More than two-thirds of the NHS – comprising more than 1,900 organisations – use the current NHSmail service, which runs on Microsoft Exchange 2007 and has been in place since 2009. Individual NHS trusts are free to choose whether they use the system or not. The previous contract for the email service with Cable & Wireless (C&W) was due to expire in July 2013 but was extended with Vodafone, which acquired C&W in 2012. Transition to the new service will take place during 2015-16, and was expected to cost £168m, including purchase of the technology. “Further to a voluntary standstill period, which ended at midnight on Monday 13 April, Accenture has been designated as the nominated preferred supplier for the future NHSmail service. Accenture was selected from five suppliers procured from the Crown Commercial Service managed email framework,” said an HSCIC spokeswoman. Accenture was chosen ahead of rivals BT, CSC, General Dynamics and incumbent Vodafone, which are all suppliers to the £350m cross-government managed email framework run by the Crown Commercial Service. At one stage in the decision process, the NHS was looking to use multiple secure email providers via the government’s G-Cloud framework, but that plan was later revised. According to HSCIC, more than half a million staff use NHSmail on a daily basis in England and Scotland, with user numbers growing by 10% every year. The service currently has more than 990,000 mailboxes in place. It includes a central directory, and allows NHS employees to securely share calendars and folders.